The Republicans want Americans to believe the Democratic Party has a split between Obama and Clinton, and they're doing everything they can to try and make it a reality. But the reality is that Democrats came together at their convention. Hillary and Bill Clinton showed a lot of class last week by stepping forward and urging all Democrats to support and work for Barack Obama. But the Republicans have a real split in their own party, which could turn out to be a real embarrassment this week in Minnesota. They don't just have one convention where all Republicans can come together to support a single candidate. 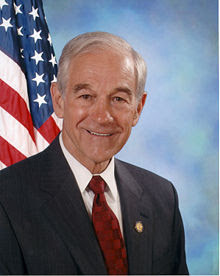 In addition to the convention that is meeting to nominate John McCain, there will also be a rump convention composed of the followers of Ron Paul (pictured above). Rep. Paul said he had made overtures to the Republicans, hoping to speak at their convention. But he was rebuffed, and that may turn out to be a serious mistake. Now his supporters are gathering in Minnesota for their own "convention", and it won't be a small one either. They have sold nearly 10,000 tickets to the affair. I expect the gathering of Paul supporters will get a lot of coverage by the media this week, smashing any dreams the national party had of showing a united front. In fact, while the national party claims to represent conservatives, the fact is that Paul may be representing the true conservatives. Paul and his supporters are the ones who believe in small government, a balanced budget, individual rights, the Constitution, and the illegality of using our military to force our views on others. Meanwhile, the national party is supporting a president and candidate who have given us a record-breaking national debt, an unnecessary war, a violation of individual rights (spying on citizens), a violation of human rights (torture), and a trashing of our Constitution in numerous ways. If the Republicans had been smart, they would have just allowed Paul to speak at their convention. But they weren't. Now they're faced with the prospect of dueling conventions. It should be an interesting week. The 2008 NFL season is finally here. Training camp is over, the pre-season games have been played and the teams are set to begin the new season of pro football. Yesterday, the Dallas Cowboys made their final cuts -- including some minor surprises. I had figured the Cowboys were going to keep six wide receivers -- especially since three of their top five receivers are currently injured. Miles Austin, Sam Hurd and Isaiah Stanback are currently nursing minor injuries, although Stanback may possibly be ready by the season opener. I thought surely they would keep a sixth receiver with this many injuries. I was wrong. After the Cowboys made the necessary cuts to get the squad down to 53, they had only kept five receivers -- Terrell Owens, Patrick Crayton, Miles Austin, Sam Hurd and Isaiah Stanback. Danny Amendola, Mike Jefferson, Mark Bradford and Todd Lowber were all cut. Bradford had never seemed to be in the mix and Lowber was considered a project, but Amendola and Jefferson had been seen as fighting it out for the sixth receiver position. It's possible that the Cowboys are watching the waiver wire with the idea of picking up a sixth receiver, or maybe considering a trade for another receiver. It's also possible that they don't think they need a sixth. After all, they have good receivers in tight end Jason Whitten and running back Felix Jones. Maybe they're satisfied with the offensive weapons they have. It is possible that some of these players will be signed for the practice squad if they clear waivers without being picked up by another team. But for now, the team is set. The first game will be on September 7th (3:15pm) in Cleveland against the Browns. This is a year of high expectations for the Cowboys, but expectations don't win games. We'll just have to take it one game at a time and hope for the best. Cleveland is up first, and right now that's the only game that matters. Picture is from the excellent website Seeds of Doubt. Three years ago, George Bush and the Republicans failed miserably in their response to Hurricane Katrina (and a few weeks later to Hurricane Rita). FEMA and other government agencies were not ready for the disaster, and their slowness to adequately respond make it even worse than it should have been. Now another hurricane is heading for the same area. Hurricane Gustav is on track to hit the Louisiana coast as a catagory 3 storm late Monday or early Tuesday. Could we have a replay of three years ago? Is Bush paying attention? 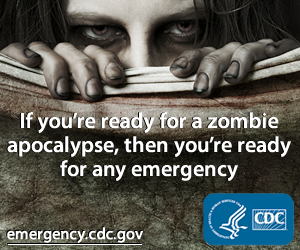 Is FEMA ready? They had better be ready. They have had three years to study their mistakes and make things right. Doing it right this time may not help in the coming election, because after all, people really expect FEMA and other government agencies to be ready and be competent. But screwing it up again could be disastrous to any remaining Republican hopes in the coming election. If I were John McCain, I think I'd be on the phone to the White House right now. He really can't afford for Bush to drop the ball again. The Gulf Coast and New Orleans can't afford it either. 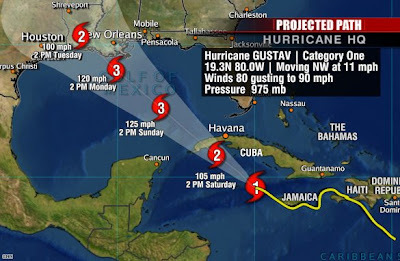 UPDATE -- Gustav is now a catagory 4 hurricane, and could easily be a catagorey 5 by the time it hits land. McCain has finally made his choice of who he wants as a running mate, and I think he surprised everyone -- especially the news media. As late as last night, I heard media talking heads saying he had chosen Tim Pawlenty (the Republican governor of Minnesota). 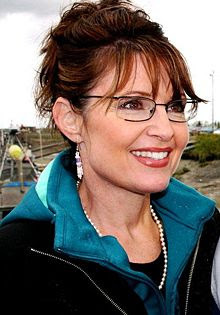 But McCain threw everyone a curve today and chose the governor of Alaska -- Sarah Palin. I don't think the media even realized she was being vetted for the position. There are two reasons why Palin might be a good pick for McCain, and two reasons why she is a very surprising and possibly weak pick. McCain has still not excited the Republican right-wing evangelical base. Palin might actually help him to get out this base. They would not have voted Democratic, but they might have stayed home on election day. But Palin is an anti-choice, anti-gay marriage, very right-wing, evangelical, social conservative in the mold of George Bush. Her choice will probably make the socially-conservative base and the party's large contributors very happy, especially the big oil companies since she is in favor of opening the Alaskan National Wildlife Refuge to oil drilling. It looks like McCain also thinks picking Palin may help him to get some disillusioned Hillary Clinton voters -- those who voted for her because she was a woman and didn't care what she stood for or believed in (the PUMAs). He looks at Hillary's 18 million votes and thinks the PUMAs are a large group. They are not. There may be a few thousand, but that is a negligible number when you consider the total number of voters. The overwhelming majority of Clinton's voters will do as she has asked and vote Democratic. One reason this pick surprised me was the fact that McCain has been pounding Obama on the issue of whether he has enough experience to be president, and then he picks a running mate with far less experience than Obama -- and with McCain's age and health problems, Palin may actually have to finish his term if he is elected. Palin has absolutely no experience with national or world problems, and only two years of experience with government on the state level (and even that is in a state with a very small population). By making this pick, McCain has made his own prior pronouncements about experience look foolish. The other reason this pick is surprising is because of Governor Palin's ethics issues. She currently is being investigated by the Alaskan Legislature for possible misuse of her official powers. She has been accused of firing the Public Safety Commissioner because he would not fire a state trooper (her brother-in-law) who her family was unhappy with. It is strange that McCain would pick Palin while this investigation is continuing. Was this a good pick? Only the November election will answer that question. I haven't had much to say about the die-hard people who call themselves PUMAs so far in this campaign. But the Democratic Convention is over now. Barack Obama is the nominee of the Democratic Party. It is time to make your decision. I can understand the disappointment that people have when their candidate does not make it to the top. My candidate didn't either. I was a die-hard Bill Richardson supporter. I not only supported him on this blog, but I also sent him my hard-earned money. But it was not to be. The Democratic Party made a different choice, and I will support and vote for that choice -- Barack Obama. Hillary Clinton ran a great campaign, but she lost. She has now climbed aboard the Obama bandwagon because she is a good and loyal Democrat, and so is her husband Bill. She has made it very clear that this election is far too important to cling to a "cult of personality". This country cannot afford another four years of the Bush/Cheney policies. We now have a choice between Barack Obama and John McCain. Hillary Clinton has told us that anyone who supported her positions in the campaign must now support Obama. She has said that to vote for McCain is to vote against everything she believes in and was fighting for. If you are ready to vote for John McCain at this point, then I have to wonder if you were ever truly a Clinton supporter. How can you claim to be a Clinton supporter and then vote against everything she fought for? Did you really just vote for her because she was a woman? Did you really not care what her beliefs were? I admire the true Democrats who supported Hillary Clinton, and I congratulate you on a hard-fought race that went down to the wire. I know you will do as she asks and support and vote for Obama for the good of our country and its citizens. As for you PUMAs, I have think you are really just Republicans or very sick people. 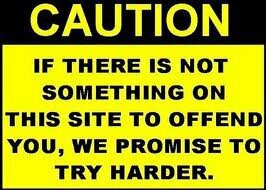 You are willing to sell your country out to salve your "sour grapes" mentality. Hillary Clinton proved to be a class act -- but you are just pathetic. Bill Clinton got his chance to address the Democratic Convention last night. The mainstream media have been trying to convince us that there is a rift between Clinton and Obama. I've even heard some say that Clinton doesn't like Obama. Well if that's true, he sure did a good job of covering it up last night. 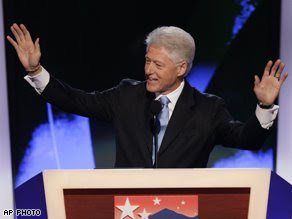 I personally think Bill Clinton gave a great speech last night. Whatever anyone thinks about the man, you have to admit he's one of the party's best public speakers. And last night, he was at the top of his game. It may have been the best speech of the convention so far. Here are some quotes from the speech. What a year we Democrats have had. The primary began with an all-star lineup. And it came down to two remarkable Americans locked in a hard-fought contest right to the very end. That campaign generated so much heat, it increased global warming. Last night, Hillary told us in no uncertain terms that she is going to do everything she can to elect Barack Obama. That makes two of us. Actually, that makes 18 million of us. Because, like Hillary, I want all of you who supported her to vote for Barack Obama in November. The American dream is under siege at home, and America's leadership in the world has been weakened. Middle-class and low-income Americans are hurting, with incomes declining, job losses, poverty, and inequality rising, mortgage foreclosures and credit card debt increasing, health care coverage disappearing, and a very big spike in the cost of food, utilities, and gasoline. And our position in the world has been weakened by too much unilateralism and too little cooperation, by a perilous dependence on imported oil, by a refusal to lead on global warming, by a growing indebtedness and a dependence on foreign lenders, by a severely burdened military, by a backsliding on global nonproliferation and arms control agreements, and by a failure to consistently use the power of diplomacy, from the Middle East to Africa to Latin America to Central and Eastern Europe. Everything I learned in my eight years as president, and in the work I have done since in America and across the globe, has convinced me that Barack Obama is the man for this job. He has a remarkable ability to inspire people, to raise our hopes and rally us to high purpose. He has the intelligence and curiosity every successful president needs. His policies on the economy, on taxes, on health care, on energy are far superior to the Republican alternatives. He has shown a clear grasp of foreign policy and national security challenges and a firm commitment to rebuild our badly strained military. His family heritage and his life experiences have given him a unique capacity to lead our increasingly diverse nation in an ever more interdependent world. Barack Obama is ready to lead America and to restore American leadership in the world. Barack Obama is ready to honor the oath, to preserve, protect and defend the Constitution of the United States. Barack Obama is ready to be president of the United States. A President Obama will choose diplomacy first and military force as a last resort. 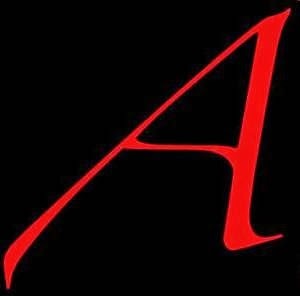 But, in a world troubled by terror, by trafficking in weapons, drugs and people, by human rights abuses of the most awful kind, by other threats to our security, our interests, and our values, when he cannot convert adversaries into partners, he will stand up to them. In this decade, American workers have consistently given us rising productivity. That means, year after year, they work harder and produce more. Now, what did they get in return?Declining wages, less than one-fourth as many new jobs as in the previous eight years, smaller health care and pension benefits, rising poverty, and the biggest increase in income inequality since the 1920s. 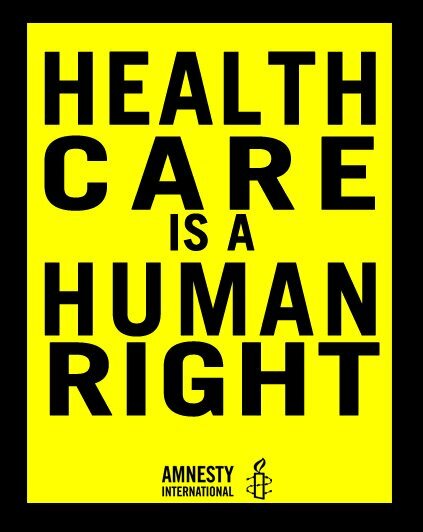 American families by the millions are struggling with soaring health care costs and declining coverage. They took us from record surpluses to an exploding debt; from over 22 million new jobs to just 5 million; from increasing working families' incomes to nearly $7,500 a year to a decline of more than $2,000 a year; from almost 8 million Americans lifted out of poverty to more than 5.5 million driven into poverty; and millions more losing their health insurance. Now, in spite of all this evidence, their candidate is actually promising more of the same. Think about it: more tax cuts for the wealthiest Americans that will swell the deficit, increase inequality, and weaken the economy; more Band-Aids for health care that will enrich insurance companies, impoverish families, and increase the number of uninsured; more going it alone in the world, instead of building the shared responsibilities and shared opportunities necessary to advance our security and restore our influence. They actually want us to reward them for the last eight years by giving them four more. My fellow Democrats, 16 years ago, you gave me the profound honor to lead our party to victory and to lead our nation to a new era of peace and broadly shared prosperity. Together, we prevailed in a hard campaign in which Republicans said I was too young and too inexperienced to be commander-in-chief. Sound familiar? It didn't work in 1992, because we were on the right side of history. And it will not work in 2008, because Barack Obama is on the right side of history. Where's The Respect For LBJ ? Did I blink and miss it, or did this Democratic convention totally ignore former-President Lyndon Baines Johnson. To make it even worse, yesterday was LBJ's 100th birthday. He was born on August 27, 1908 in a small farmhouse on the Pedernales River near Stonewall, Texas. Even though he is no longer with us, the 100th birthday is kind of a landmark. Would it have hurt the Democrats to take 5 minutes to mark the occasion? It's not like he was a terrible president. In fact, I think he was a good president, and Democrats should be proud of him. I guess the Vietnam War will always cast a shadow over his presidency, and I admit that I disagreed with him on the war. But he also did a lot of good for America. 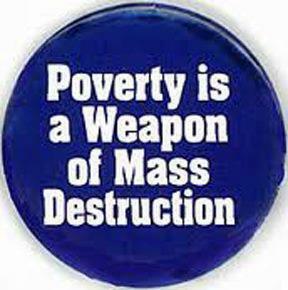 Does anyone remember the War on Poverty, the Headstart Program, Medicare and Medicaid? These were all LBJ's programs, and they still do a lot of good for a lot of people in this country. In addition, LBJ helped to lay the groundwork that resulted over 40 years later in Barack Obama being able to become the nominee of his party. I don't think the Civil Rights Act of 1964 or the Voting Rights Act of 1965 could have been passed without LBJ. It took a president with his enormous political skills and political courage to get the job done. LBJ knew passing these laws were going to lose himself and the Democratic Party a lot of support in the South (and some other parts of the country). He had a choice -- he could do the politically expedient thing or the right thing. He chose to do the right thing! 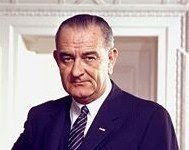 Some of today's Democrats could use the political courage displayed by Lyndon Johnson. Yesterday, things just got a little bit better for Democrats in the state of Alaska. Instead of selecting a new and untarnished candidate in their primary, Alaska Republicans again chose their ethically-challenged current senator -- Ted Stevens. 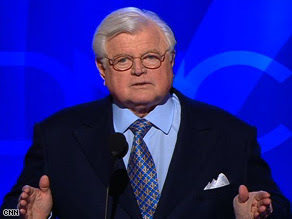 In a seven-person field of candidates, the 84 year-old senator who is currently under indictment on federal charges, pulled down over 63% of the Republican vote in the primary. This is great news for the Democrats. They have a capable and very popular candidate to run against Stevens. Alaska Democrats have chosen Anchorage Mayor Mark Begich as their candidate. A year ago, I don't think anyone would have given the Democrats much chance of winning the senate race in Alaska. Today, it looks like they have a very good chance of doing that. America took a giant step forward last night, when for the first time in our nation's history a major political party nominated an African-American as their candidate for president. Democrats officially chose Barack Obama as their candidate for the presidency in the November 2008 election. Here is how it happened. The names of both Barack Obama and Hillary Clinton were entered in nomination before the convention and seconded. The Convention Secretary then called the roll of the states and the following votes were cast (Obama's votes are listed first and Clinton's second). Then it was New Mexico's turn, but instead of casting their vote they yielded to Illinois. Illinois then yielded to New York. 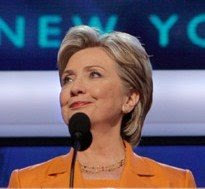 Senator Hillary Clinton then took the microphone for New York, and in a magnanimous gesture of party unity she asked the convention to elect Obama by acclimation. A voice vote was taken and history was made. I think a sizeable majority of Americans believe the Republicans have made a mess of our economy, mismanaged the "war on terror" and waged an unnecessary war in Iraq. Nearly 80% of Americans believe this country is on the wrong track and real change is needed. In a few weeks, we will learn if America has made enough progress on the race issue. America knows Democratic leadership is needed. Will they vote for the Democrat Obama, or will they vote for McCain because he is white? I honestly don't know at this point. The polls are much closer than they should be considering how the country feels about Democrats versus Republicans. Is America still too racist to vote for Obama? We'll find out in November. Hillary Clinton made her long-waited speech to the Democratic Convention last night. Personally, I think it was a great speech and said everything she needed to say. She made it very clear that she supports Barack Obama and wants her supporters to do the same. She told America that this election was far more important than whether someone supported her or Obama (or anyone else). This election is really about saving our nation from another 4-8 years of the Bush policies. Here are some quotes from her speech to the convention. And whether you voted for me, or voted for Barack, the time is now to unite as a single party with a single purpose. 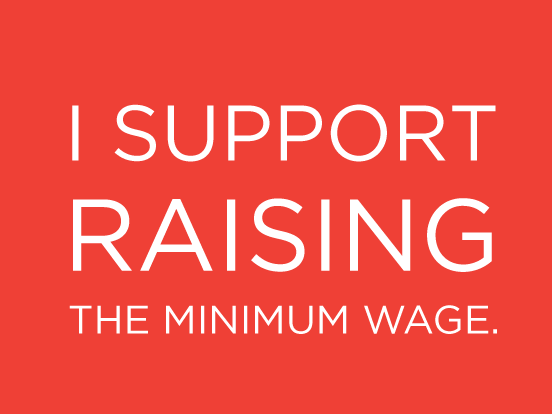 We are on the same team, and none of us can afford to sit on the sidelines. I haven't spent the past 35 years in the trenches advocating for children, campaigning for universal health care, helping parents balance work and family and fighting for women's rights here at home and around the world . . . to see another Republican in the White House squander our promise of a country that really fulfills the hopes of our people. Tonight I ask you to remember what a presidential election is really about. When the polls have closed, and the ads are finally off the air, it comes down to you -- the American people and your lives, and your children's futures. And Barack will have with him a terrific partner in Michelle Obama. 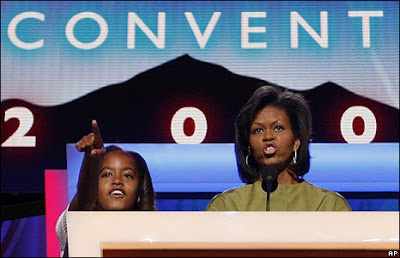 Anyone who saw Michelle's speech last night knows she will be a great First Lady for America. Now, John McCain is my colleague and my friend. He has served our country with honor and courage. But we don't need four more years of the last eight years. More economic stagnation and less affordable health care. More high gas prices and less alternative energy. More jobs getting shipped overseas and fewer jobs created here at home. More skyrocketing debt and home foreclosures .and mounting bills that are crushing our middle class families. 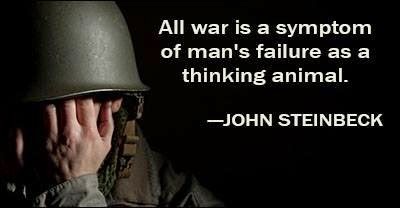 More war and less diplomacy. More of a government where the privileged come first and everyone else comes last. But remember, before we can keep going, we have to get going by electing Barack Obama the next president of the United States. We don't have a moment to lose or a vote to spare. Nothing less than the fate of our nation and the future of our children hangs in the balance. 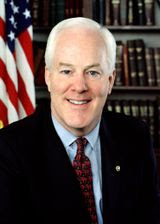 Senator John Cornyn did some campaigning in Fort Worth on Tuesday, and once again showed just how out-of-touch with the real world he is. It's bad enough that he wants to foul our coastlines, the Rocky Mountains and the Alaskan National Wildlife Reserve with new oil drilling, even though the oil companies have thousands of leases they have not yet drilled on, and they export a huge amount of our domestic oil production. But he is also opposed to any new taxes on the oil companies. It doesn't matter to him that they continue to set new records for windfall profits, to the tune of thousadns of dollars per second for every second of every day. 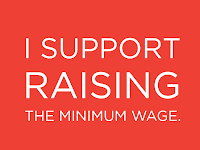 Like most Republicans, he wants to shift the burden of taxes from the rich to the children and grandchildren of middle and working class people. He's not opposed to spending government money. He's voted for all of Bush's record-breaking spending. He just doesn't want the corporations or the rich to have to pay for any of it. He seems to be perfectly willing for the Saudis and the Chinese to bankroll an ever-increasing portion of our growing national debt. A prime example of how out-of-touch with reality the soon-to-be ex-senator is, concerns our transportation infrastructure. He knows our highways and bridges are crumbling, but how does he want to fix that? In Ft. Worth, he called for a "new system" to finance our transportation needs. The one thing he didn't do was explain how he's going to actually pay for it. He wants to lower income taxes on the rich, refuses to support higher gasoline taxes, and says he opposes toll roads. What is left? Does he want the Chinese and Saudis to finance even more deficit spending? What happened to old-time conservatism that said we should balance our budget and pay-as-we-go? Or mabe he thinks he a just pray new roads and bridges into being. We have got to vote this fool out of office. We need a senator that understands the simple concepts of economics. It's really not that complicated. You cannot cut your income and increase your spending. It doesn't work for an individual or family, and it doesn't work for a government either. Fortunately for Texans, we have a candidate this year with some common sense -- Rick Noriega. He understands that no entity can earn less and spend more. He understands that deficit spending just means we are shoving our debts onto our children and grandchildren. It's time we do something good for ourselves, our state and our country. It's time to send John Cornyn home and send Rick Noriega to Washington! Top Cartoon is by Lee Judge in the Kansas City Star. 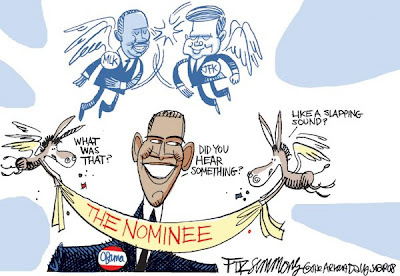 Bottom Cartoon is by Rex Babin in the Sacramento Bee. Being the political nerd and junkie that I am, I naturally tuned in to watch the beginning of the Democratic National Convention at 4:00pm yesterday. In fact, I've taken the whole week off -- I'm not going to let something as mundane as work interfere with my politics. But, I made a mistake right off the bat. I must have experienced a moment of insanity, because I actually tuned in to MSNBC and then CNN. For some reason, I thought they would be showing the convention. But they weren't showing the convention -- they were "covering" the convention, and those are two vastly different things. It quickly became apparent they were far more interested in talking about the convention than they were in showing the convention to viewers. 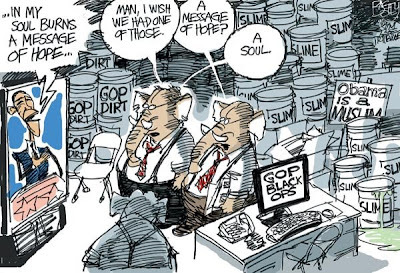 Even worse, they seemed to delight in bringing Republicans on to bad-mouth the Democrats. When they put on right-wing nutjob Glen Beck, I had to bail out. It became obvious that "fairness" was not going to be a part of their coverage. Fortunately, I remembered I have cable, and that means I have C-SPAN. I switched over, and that's where my TV will stay until the convention is over. No talking heads -- just the convention from gavel to gavel. The money allocated to C-SPAN is some of the best spending our government has ever done. For those of us denied a place at the convention, C-SPAN is definitely the next best thing. UPDATE - I just finished listening to Michelle Obama's speech. It was wonderful. This is one very special lady. She would make a great First Lady. The chances are very good that you may have overpaid the sales tax you owe. This is especially true if you don't check the amount of the tax on your receipt, and frankly, most of us don't. We just expect the tax to be figured correctly. After all, the tax is being figured by a computer -- not a human. It turns out that is precisely the problem! When the sales tax first started, an old-fashioned cash register would ring up the total and a clerk would then do some math, or more likely refer to a sales tax chart to find the appropriate amount of tax. It was a bit of a hassle, but it usually resulted in the correct amount of tax being added to your total. But cash registers have changed. These days, almost all stores have computer cash registers. The clerk does nothing but scan an item or enter a price -- the computer register will add the total and figure the sales tax. The problem is that because of the way they are programmed, they could well be charging too much tax. When I first heard about this, I thought it was a devious way for stores to make extra profit. But that is not what is happening. The stores just pay the state of Texas whatever tax their computer tells them was collected. So the extra tax is actually going to the state of Texas. The over-taxing usually occurs when you purchase discounted items or use coupons. Most of the registers are programmed to enter the full price and then after the total is figured they will subtract the discount or coupon amount. This allows the store to more accurately keep up with its inventory and know how much of that inventory was sold at a discount. The problem is that the computer register has figured the tax on the first total -- not the discounted amount. Say you bought a $20 item that was half-off. The register rings up $20, figures the tax, and then subtracts $10. On an 8% tax, that means you would pay $11.60 when you actually owe only $10.80. And the clerk (and probably the store) have no idea you've just been overcharged. It would be a very good idea to start checking your receipts. State law only requires you to pay tax on the discounted price -- not the full price. If the store won't correct their computer program and refund the overcharge, then report it to the Texas Comptroller's office. They'll be happy to see the store collects only the correct amount. Taxes are high enough already. Don't pay too much. Take Him - He's Yours ! Well, the wait is over to see who Obama would choose as his running mate. He has chosen the senator from Delaware -- Joe Biden. He may not have been the person I would have chosen, but then the choice was Obama's to make and no one else's. Now he has chosen, and it's time to get behind the ticket and see if we can't get them elected in November. At the very least, Biden is very intelligent and he's a fighter. His personality won't let him take attacks without fighting back. This is a good thing, and if Obama is smart he won't try to curb that. 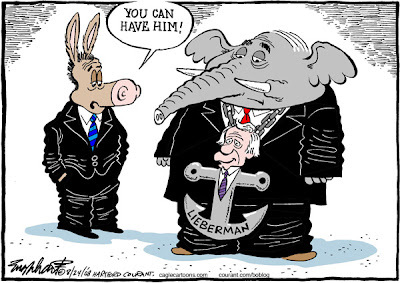 Turn Biden loose and let the senate pit bull go after the Republican candidates. McCain has shown a propensity for gutter politics in this election, and Biden is a good choice to take him to task over his dirty tactics. He's already started well by accusing McCain of having given "into the right wing of his party and yielded to the very Swift Boat politics he once so deplored." The Democrats now have a ticket, and it's a good one. Let's get them elected. The music school at the University of North Texas has an excellent reputation, especially in the jazz world. In fact, the school's student 1 O'Clock Jazz Band is so consistently good that they have been nominated gor several Grammys. Thanks to this reputation for quality, the school has been given a wonderful gift. 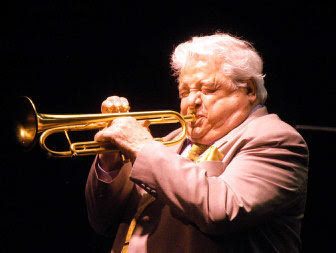 Maynard Ferguson was a renowned jazz musician. His music career spanned over 50 years, starting in the mid-fifties and ending with his death in 2006. An anonymous person, along with the Collins-Binkley Foundation, bought his estate for $600,000 after his death. The school will be receiving the entire music library of the jazz giant. According to James Scott, dean of the school of music, the collection "will include original handwritten parts and scores and complete published sets of music that are no longer in print." Ferguson's musical memorabilia (horns, wardrobe, awards, etc.) will also be coming to Denton. The Foundation is currently working out the details of where it will be housed. Ferguson's music library will be housed at the university's music library on the fourth floor of the Willis Library. It will join the music library of band leader Stan Kenton, which the university already has. The Dallas Cowboys, the mightiest team in Texas (and perhaps the nation) prevailed in relatively easy fashion over the Houston Texans-- at least when their starters were playing in the first half -- in the preseason showdown between the two Lone Star NFL clubs Friday night in Texas Stadium, the final meeting for the two teams there.The Cowboys will move from Irving, its home for 37 years and the site of many historic victories, to its gleaming new billion-dollar football palace in Arlington next season. It took a failed two-point conversion from Sage Rosenfels to JacobyJones with 2:05 left in the game to seal the 23-22 deal for Dallas in a game overshadowed by a serious neck injury to Texan's special teamer Harry Williams. He was taken to the hospital where it was reported --just ahead of Barack Obama's vice-presidential selection -- that he would have surgery to fuse two vertebrae. The Cowboys looked strong, even overwhelming at times in the first half, with Tony Romo, Marion Barber, and Terrell Owens flashing their skills. Without an overthrow to T.O. and an interception in the endzone by Houston linebacker Zac Diles, Dallas might have salted the game away before halftime. While the Cowboys starters on offense were rested in the second half, Texans quarterback Matt Schaub and other first-string players came out for the third quarter. But Houston,trailing 20-13 when Schaub left, drew close to a win with Rosenfels and the second and third-string playing in the fourth, and gambled on a victory instead of kicking the PAT for the tie and overtime. Nothing less than a Super Bowl appearance is anticipated for the Cowboys this year, and they played like they will be worthy of the high expectations. Stetsons and backwards-baseball caps off to them, and best of luck to all Cowboys fans for a thrilling season ahead. Who are they trying to kid? Are they trying to convince us that we're actually getting a good deal on gas from the giant oil companies? 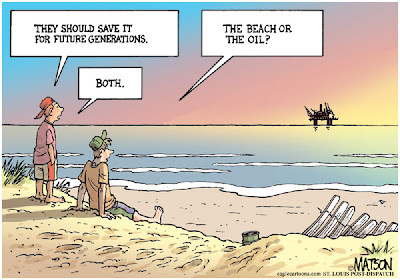 This is just the kind of thinking the oil companies are hoping for. They raise the price a large amount and everyone gets upset. Then they lower it a tiny amount and everyone thinks they're getting a good deal. Well, you're NOT! Let me point out a couple of things. While you're celebrating the fact that gas is now only about $3.55 a gallon in Texas, let me remind you that last year at this time gas was selling for around $2.70. And in January of 2007, the price was around $2.00. Do you still think $3.55 is a good price? And the price of a barrell of oil is creeping up again, so don't expect the "low" price of $3.55 to last very long. The oil companies have a good thing going right now and they're not about to give up their record-breaking profits. We'll probably be looking at $5.00 a gallon gasoline next year. But I don't expect the prices to rise too much until after the election. These big oil companies know who their friends are -- Republicans. They'll probably temper any price raises until after the election in an attempt to get McCain and as many Republicans as possible elected. After all, the Republicans have given big oil companies about $33 billion in government handouts over the next five years. 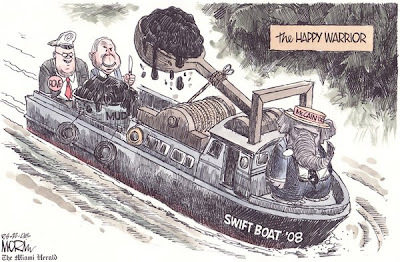 Check out the blog Bluedaze for an excellent accounting of the Republican handouts to big oil. It's downright shocking! Republicans can't find the money to help people in this country who are hurting, but they have tons of money to throw at big corporations (who are already making record profits). Of course, once the election is over and they continue the march toward $5.00 a gallon gasoline, they're going to continue to blame Democrats for not letting them destroy our national preserves and coastlines with new drilling. But they won't tell you about the millions of acres in leases they already have that they're not drilling on. Why don't they drill on the leases they already have before they demand more. The reason is politics. The "we need new drilling" mantra is just a ploy to try and stave off a Democratic victory in the coming election. The American people would be damn fools to fall for this political ploy. Even if the new drilling was approved, it would be five to ten years before the new oil hit the market. There's something else they're not going to tell you, also. A huge portion of the oil produced in the United States is SHIPPED TO FOREIGN COUNTRIES by the oil companies. Why should we believe the new oil produced here would stay in this country? If we stopped shipping American oil overseas, we would have plenty of oil. But they're not about to do that, because then the prices would really drop and they're profits would also. We have to face facts. Big oil has one hand on our throat and the other in our pocket, and they are not about to let go of either. Cartoon was done by R.J. Matson in The New York Observer. Are Guns In Schools Legal ? A few days, ago I wondered whether it was really a good idea for the tiny country school in Harrold (Texas) to allow their teachers and other staff to carry firearms while school is in session. Now it looks like the Brady Center To Prevent Gun Violence agrees that it's a bad idea. In fact, they believe it may actually be illegal. The Harrold School Board believes it is not only legal, but a good idea. They say they researched the idea for about a year before instituting it. They point to Texas law which prohibits guns on campus "unless pursuant to the written regulations or written authorization of the institution." They point out the fact that the Board has given the written authorization. But the Brady Center cites a section of the education code that they believe makes it illegal. It says, "If a board of trustees authorizes a person employed as security personnel to carry a weapon, the person must be a commissioned peace officer." An attorney for the Board counters that this section refers only to security guards hired by the district. They may technically be right. The section does specifically refer to security guards. But doesn't this violate the spirit of that section of the law? How much sense does it make to require a security guard to be a commissioned peace officer to carry a gun, but apply a much less strict standard to teachers, cooks, janitors , maintenance, etc.? Shouldn't the same rule apply to anyone who wishes to carry a firearm? It seems obvious that when the law was written, the writers did not conceive of anyone but a security guard being allowed to carry a weapon. When Texas instituted its concealed carry law, it was recognized that it was neither appropriate nor legal to carry a weapon into certain places. It is illegal for anyone to carry a weapon into a government building, a courtroom, an airport or even a bar. I think most people expected schools to also be on that list. How much sense does it make to ban a gun in a bar where only adults are allowed, but to allow them in schools where we must send our children? It now looks like this may be headed to court, and that's probably a good thing. In fact, this issue should be addressed and clarified by the legislature. 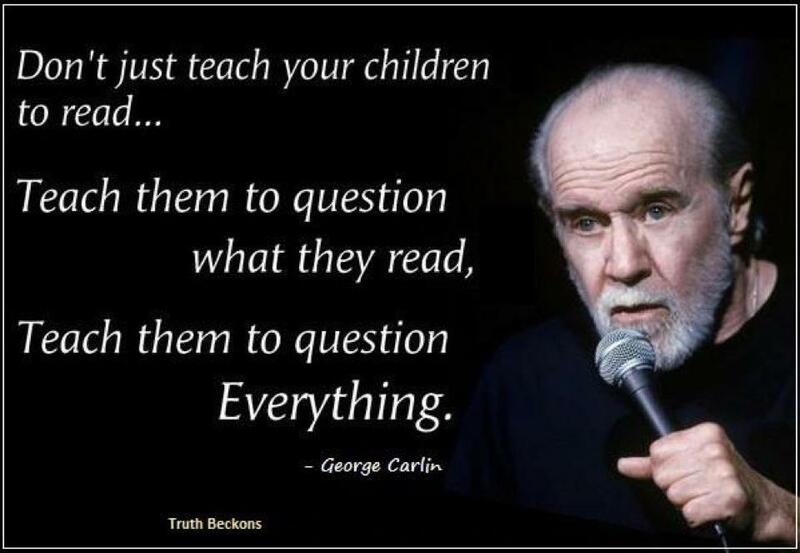 Do we really want minimally trained and psychologically unvetted people carrying guns around our children? This is just a really bad idea, and it should be stopped. 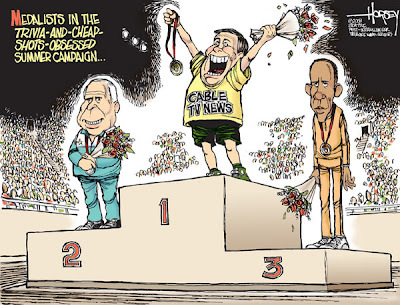 This Cartoon is by David Horsey in The Seattle Post-Intelligencer. I'm getting a little sick of McCain claiming victory in the Iraq war. The fact is that 238 American soldiers have been killed in Iraq this year -- 17 so far this month. To me, that is an unacceptable figure. The total number of U.S. deaths is now 4,144 and is climbing higher each day we stay there. The truth is that this is not even a war. It is an OCCUPATION of a country that wants us to leave. An occupation is not like a formal war. Occupations are not winnable, especially if you're not willing to submit enough troops to do the job properly. It would take over a half-million troops if we really wanted to pacify Iraq -- maybe more. But Bush (and McCain) don't really care about Iraq. They just want to make sure their rich oil buddies get the Iraqi oil, and if it costs a few hundred American lives each year, they don't really care. A real victory in Iraq is not possible, and I don't think that oil is worth a single American life. It's time to really show some support for our brave and loyal troops. It's time to bring them home to their families. Personally, I think it's also time to impeach the liars that got us into this mess, and then turn them over to the World Court to be tried for their war crimes. It's what they deserve. And yes, I'm talking about Bush and Cheney. I'm glad to see this. Last year it looked like the Katie Awards, given for outstanding journalism in this area, might be finished. The sponsor of the awards, the Dallas Press Club, suspended the awards in 2007 when it realized that some cheating had occurred. It was learned that the former head of the organization, Elizabeth Albanese, had cut some corners. 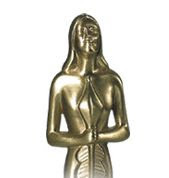 Instead of obtaining independent and unbiased judges to evaluate the work of those nominated, she just gave the awards to whoever she wanted -- including naming herself as the winner of several of the Katies. Winning a Katie was once considered a prestigious honor, and the Dallas Press Club is hoping to restore that prestige. They have promised that independent judges would be chosen to judge all entries. The judges comments will be included with each entry, and the name of the judge(s) will be on the back of each award given. They have also announced that the University of Missouri Journalism Department and the Poynter Institute, a journalism think tank in Florida, have agreed to participate in the judging. This is a good move, and should restore some credibility to the awards. The awards used to cover a six state area, but that has now been narrowed to center on Texas. Those nominated must be a Texas news organization, or be a Texas-based journalist from an outside source. The AP, the Dallas Morning News and the Fort Worth Star-Telegram have all announced they will participate in the revived awards. The deadline for nominations is August 29th, and the new Katies will be given out at a banquet on November 15th. I hope everything goes well. I'd like to see the awards regain their prestigious status. They were once, and hopefully will again be a real boon for Texas journalism. Cartoon is by Mike Keefe in The Denver Post. The mainstream media have chattered incessantly in this presidential race about what issues are the most important. Some would have you believe that experience is the issue that will decide who becomes president. Others say the war on terror and homeland security will be the deciding factor. Still others believe the economy will trump all other issues. In another year, these would indeed be very important issues. But are they really the most important this year? I submit that they are not. Experience is really not as important as the media would have you think. America has shown many times in the past that they will vote for lesser experience if they like a candidate. The argument can easily be made that Kennedy was not nearly as experienced as Nixon, but he won. The truth is that no one is truly prepared to be president, but those elected usually rise to the occasion. No one expected Truman to be a strong and capable president, but that was what he turned out to be. It is more important to be liked than experienced. 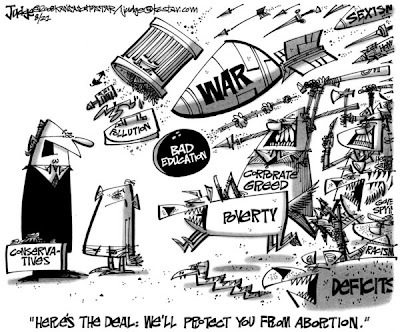 So how about the Iraq war and the overall "war on terror". I submit that this issue has already been decided by the public. The huge majority of the American people believe the Iraq war was a mistake, and the war on terror is being mishandled. It took them a while, but most people now know it was a mistake to pull most of our troops out of Afghanistan before the job was finished, and invade Iraq (who posed no danger to us). They want to know why we attacked Saddam, when our real enemy was al-Queda. If this was really the most important issue, the Democrat would win with about 65% of the vote. The same could be said for the economy. 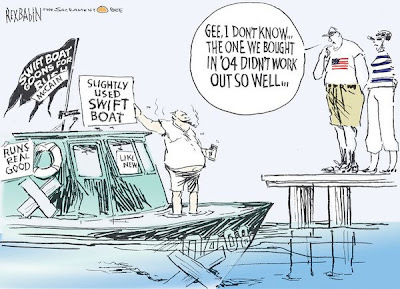 No matter how many times Bush says our economy is healthy, Americans know better. They also know the Bush presidency has been disastrous for everyone but the rich, and they know that all McCain has to offer is more of the failed Bush policies. Nearly 80% of Americans say America is on the wrong track economically. If the economy was really the most important issue, Democrats would win big. And that's just what's happening in the House and Senate races. For months, huge majorities of the American people have preferred Democrats over Republicans (even though Congress itself gets low ratings). Democrats are poised to make huge gains in both houses of Congress. The reason they are poised to do that is because the American people have already made up their minds about the economy and the war. 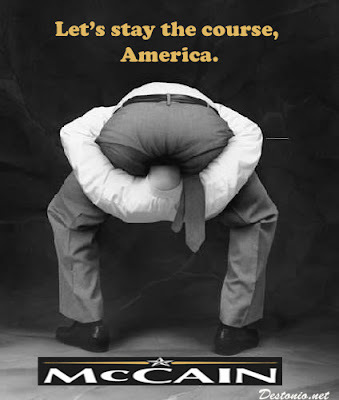 They have already decided that the country cannot afford another four years of Republican policies. So why is the presidential race so close? Since it is obvious that most Americans don't want the Republicans running things anymore, why are so many of them considering a vote for McCain? It is because there is one issue this year that far outweighs all the others in the presidential race. That issue is RACISM. I know that some think we have gone beyond our racist past by nominating an Afro-American for president. But frankly, nothing has been proven yet. Obama was nominated by a coalition of blacks, liberals and young people -- the least racist elements in our society. It remains to be seen how the general population will vote. 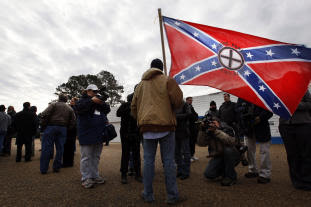 Whether we want to admit it or not, there is still a LOT of racism in this country. 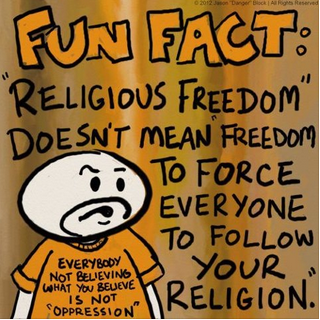 Passing a few equal rights laws did not change the hearts of the populace. That is a harder and slower task. 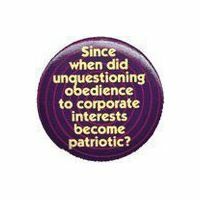 The question is has America changed enough yet? Or is the majority still racist enough to vote knowingly against their own interests, rather than vote for an Afro-American? I can't help but think if a white male were heading the Democratic ticket, he'd probably be leading in the polls by 20%. (And don't bring Hillary into this argument. She lost, and there's no reason to think she'd do any better than Obama.) The only reason the race is currently so close is America's lingering racism. 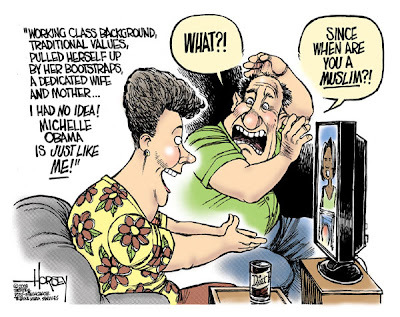 If Obama loses, it will be because Americans are not yet mature enough to get past the race issue. I know most people won't admit it -- they'll come up with a variety of weak excuses to cover for it. But the truth is that with the overwhelming Democratic feeling in the country, the only thing that can defeat Obama is racism. Don't get me wrong. I am an Obama supporter. I believe he is the best candidate by far, and I've waited most of my life to see a credible Afro-American candidate. I am very proud of the Democrats for nominating him, and I will vote for him proudly. I just have this nagging feeling in the back of my brain that America has not progressed as far as we Democrats had hoped. I hope I'm wrong. November will be a test for America. Are we making progress, or is America still a very racist country? The coming election will clearly answer that question.